RB Leipzig manager Ralf Rangnick has confirmed that Emile Smith Rowe has arrived in Germany for a medical ahead of completing his loan deal. The highly-rated 18-year-old has enjoyed a brilliant debut campaign at Arsenal this season with three goals in six appearances in the Europa League and Carabao Cup. 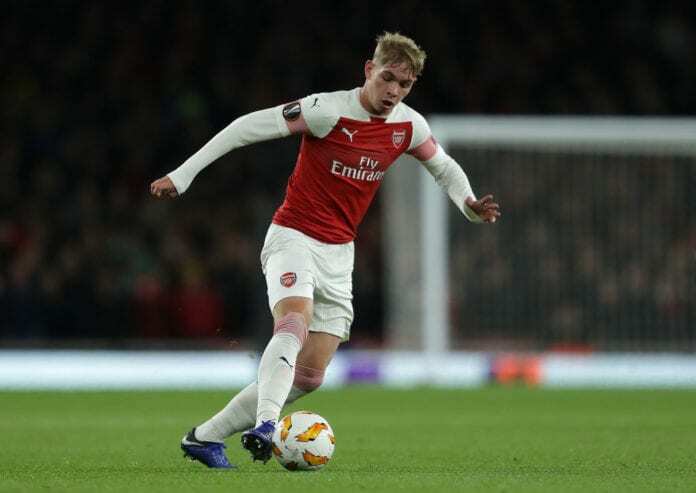 Smith Rowe hit headlines last summer for his brilliant solo effort against Atletico Madrid in a friendly, which earned him comparisons with five-time Ballon d’Or winner Lionel Messi. But now it appears that the midfielder will become the latest English youngster to go to Germany after arriving on Thursday morning. “Yes, I can confirm that the player is in Leipzig. And that we’ll carry out the medical today,” said Rangnick, according to Sky Sports. “Then we’ll have to see that we have everything available to be able to complete the transfer today. If that is the case today, we do not have that much time left – everything must be done by 6pm then the player can come to us. Smith Rowe will join his Arsenal team-mate and fellow Brit Reiss Nelson, who is currently on loan at Hoffenheim, along with Borussia Dortmund’s Jandon Sancho in the Bundesliga. Leipzig will hope the talented teenager can help them maintain their top-four spot in the Bundesliga in order to make a return to the Champions League for next season. The German club have also signed 19-year old Tyler Adams in this month’s transfer window with the USA international pulling off man of the match performance in their 4-0 win at Fortuna Dusseldorf on Sunday. Leipzig will take on Hannover 96 in another away game on Friday night with kick-off set for 20:30 (CET).